Born in Leningrad in 1929, Professor Safronova studied at the Vaganova Academy with Agrippina Vaganova herself and was invited upon graduation to become a Principal dancer with what is now the Mikhailovsky Theatre. Because of Safronova’s incredible schooling, she was trusted with the interpretation of leading parts in the new creations of Leonid Yakobson and other new, talented choreographers in addition to pure classical roles. 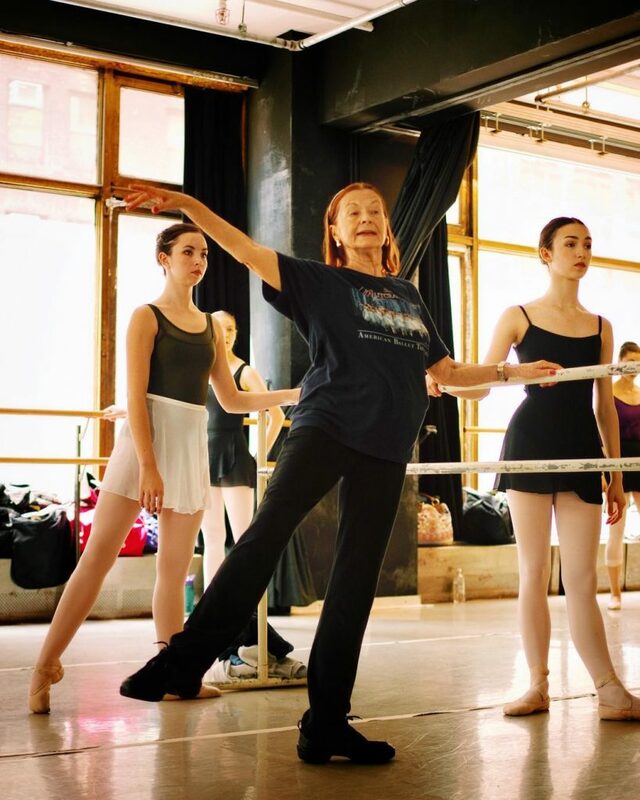 Studying with Agrippina Vaganova made Ludmila Safronova interested in teaching early in her career and after finishing her education in pedagogy in 1969 at Vaganova Academy, she began teaching at the Academy and other ballet schools abroad. During her teaching career she has raised over 60 ballerinas including leading dancers of prestigious ballet companies including the Mariinsky Theatre, Mikhailovsky Theatre , American Ballet Theater, Bayerisches Staatsballett, English National Ballet and others. Ms. Irina Kolpakova graduated in 1951 from Agrippina Vaganova’s last graduating class. With her exquisite academic style, she excelled in the classical repertoire and was the Kirov’s (Mariinsky) leading ballerina in the 1960’s. Irina Kolpakova is widely recognized as one of the finest ballerinas of the last century. Her Princess Aurora in the ballet “Sleeping Beauty” became a signature role, in which she was regarded as one of the foremost interpreters of her time. Irina Kolpakova was partnered by equally famed ballet stars Mikhail Baryshnikov and Rudolf Nureyev, as well as by her husband, the Kirov’s Premier Danceur Noble, Vladilen Semenov. She carried the Vaganova tradition to coming generations by teaching and coaching at the Vaganova Academy and the Mariinsky Theatre. Kolpakova was made a People’s Artist of USSR in 1965 and a Hero of Socialist Labor and the Order of Lenin in 1983, and was awarded a pension by presidential decree in 1996 for outstanding contribution to the development of national art. Ms. Kolpakova has also been awarded the Dance Magazine Award and Anna Pavlova Prize. In the 1990’s she became a choreographer and coach at the American Ballet Theatre in New York City, where she is currently a ballet mistress. She has coached the likes of Misty Copeland, Maria Kochetkova, Isabella Boylston and Paloma Herrera at American Ballet Theatre. Check out one of many breathtaking videos of Ms. Kolpakova in the Rose Adagio of Sleeping Beauty here, and read this story from the New York Times, Oct. 19, 2014, about Kolpakova and her work with ABT. Another esteemed pupil of Agrippina Vaganova, Professor Trofimova graduated from the class of Maria Romanova, mother of iconic ballerina Galina Ulanova. To this day, in Professor Trofimova’s combinations and upper body movements, you can see the elegance and grace that mirrors Ulanova’s style. Trofimova stopped dancing due to an injury and was accepted to the pedagogy course of the Leningrad Conservatory under Agrippina Vaganova, which makes her unique as an individual who not only learned how to dance, but how to teach from Vaganova herself. Since her graduation in 1951, she has continuously taught at the Vaganova Academy, leading the pedagogical faculty. Professor Trofimova joined us at Open World Dance Foundation’s initial Summer Intensive in Sochi, Russia. Her teaching is truly priceless. This esteemed professor of Vaganova Academy is referenced in many distinguished dancers’ biographies. Madam Sherstneva graduated from the Vaganova Academy in 1975. Upon graduation, she was invited to the Kirov (Mariinsky) Ballet and enjoyed her career with the company for almost 30 years. She was one of not many ballerinas whose versatile technique allowed her to move easily from leading roles “en pointe” to acting and character parts. Because of her incredible lines and musicality together with brilliant stage personality and acting, many St. Petersburg dancers grew up watching her on stage in every character part possible, learning from Ms. Sherstneva and hoping to rehearse one day under her supervision. Many of her students, including Olga Smirnova of the Bolshoi Theatre, now dance with Mariinsky, Mikhailovsky and Yakobson Theaters and with other companies around the world. One of the first international dancers to be invited to study at the Vaganova Academy in St. Petersburg, Russia, he was noticed by legendary Leonid Yakobson and had a dance created for him when he was only twelve years old. Upon finishing his studies, Mr. Carreño joined the National Ballet Camaguey where he enjoyed dancing many contemporary and classical roles. The following year he started dancing with the Cuban National Ballet and soon became a principal dancer receiving excellent reviews worldwide, especially upon becoming a dance partner for the legendary Alicia Alonso. He remains the most awarded Cuban dancer of all time. Carreño’s teaching career has been as remarkable as his dancing. He first started teaching in the Cuban Ballet Company in 1972 and was later granted the title of Maitre of Ballet. He has extensive credentials as a teacher and choreographer including work with: Toronto’s National Ballet School of Canada, Britain’s Royal Ballet, Paris Opera Ballet, Houston Ballet, Royal Conservatory of Dance in Madrid and American Ballet Theatre. See video of Señor Carreño. One of Russia’s finest Danseur Noble, Mr. Semenov, a People’s Artist of the Soviet Union recipient was a principal dancer excelling in the great classics with the Kirov Ballet (now Mariinsky Theatre) from 1950-1996. After being their Artistic Director, he taught at Vaganova Academy and was the Ballet Master and company teacher for Ballet International in Indianapolis. Currently he has been a guest teacher in New York with American Ballet Theatre, their JKO school as well as in other New York and U.S. programs and schools. Together with his wife and former partner, Irina Kolpakova, he has toured the world as an international guest pedagogue. See video of Kolpakova & Semenov. 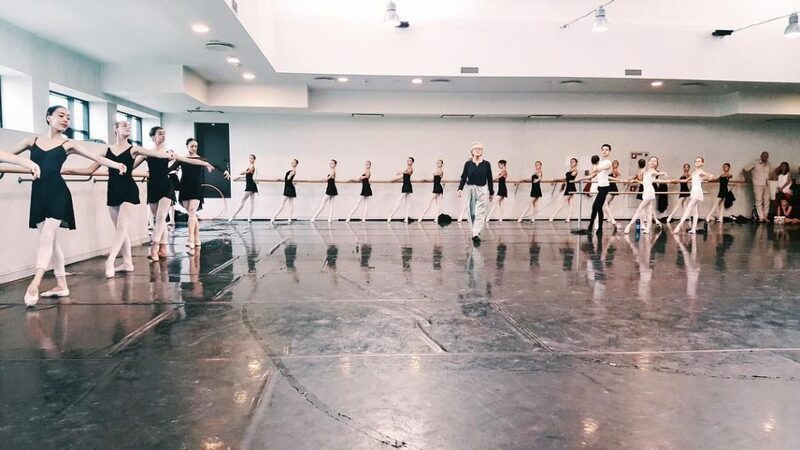 Graduate of the Vaganova Academy and current teacher of acting at the school, Mr. Stepin worked closely with famed choreographer Leonid Yakobson. Today, he serves as the repetiteur of Yakobson’s works. He staged US dancers who performed the piece “Gossipers” at the International Ballet School Festival in Estonia this summer. Mr. Sidorov graduated with honors from the Vaganova Academy, being taught by such notables as K. V. Shatilov and A. I. Pushkin. He danced for the Mariinsky Theatre and became the Principal dancer with the Mikhailovsky Theatre and subsequently served as their Senior Repetiteur. He taught pas-de-deux class at the Vaganova Academy where his students included OWDF Founders Ekaterina Shchelkanova and Anton Boytsov. For his outstanding achievements in ballet, Mr. Sidorov was awarded the prestigious title of Honoured Artist of the Russian Federation. Sir Cyril Atanasoff joined the École de danse de l’Opéra national de Paris (Paris Opera Ballet School) in 1953, and during his military service became principal dancer with the Paris Opera Ballet in 1962. He danced a vast array of major roles and had numerous roles created for him. Equally at home in the romantic and classical ballet on stage and film, he also played as an actor. He had the privilege of dancing with some of the largest international stars of ballet : Alicia Alonso, Eva Evdokimova, Galina Samsova, Nina Vyrubova, and Ekaterina Maximova. Cyril Atanassoff won the Nizhinzkij Prize in 1965 and received the title of Knight of the National French Order on merit, Knight of the Arts and Literature and Professor of ballet at the Paris Opera. He retired at the age of 45 years (1986), but returned several times on the stage of the Paris Opera as a guest. After teaching classical dance at Conservatoire de Paris (Paris Conservatory), and for the Opera Ballet Corps, he retired, but still stands ready to share his experience. Join our mailing list to receive updates, news, and more!